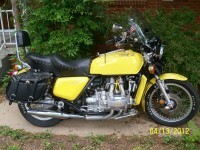 GoldwingDocs actually came into existence in August of 2008. But at that point the entire web site was just a single page full of links and files. When it really came into being was in October of 2008, when I created the forum - specifically on October 7, 2008. Up until that point, I had been an active member on the Steve Saunders web site. 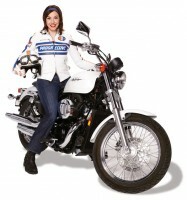 It was without a doubt the premiere Goldwing site on the web at the time. 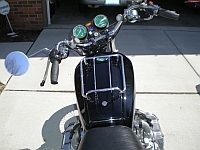 I had almost 3,000 posts there, and enjoyed helping people with technical problems they had with their bikes. I had started writing up my "how to" articles to help people with their bikes. Unfortunately, there were some power-hungry moderators there who were less than thrilled with the fact that I had links to information that I had posted on my own site. When I realized that every post I wrote there was being silently deleted within minutes after I wrote it, I knew the writing was on the wall. I had to create my own forum, away from petty power struggles and ridiculous arguments. My forum would be focused on helping people, with strong technical information and a friendly atmosphere. 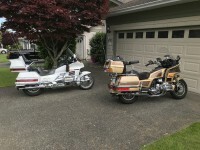 And thus the GoldwingDocs forum was born. It wasn't an auspicious beginning. At the start, virtually every post was something I wrote myself. I started building up the how-to articles, taking lots of pictures every time I did any kind of maintenance or repair. That made the maintenance or repair take three times as long, but I ended up with lots of good pictures to post online to help guide others through the same procedures. Gradually, more and more users found us, and started writing themselves. If all of the posts in the forum were printed out, it would take 185,962 pages, or a stack of pages that stood 63 feet tall! In amongst those posts are lots and lots of pictures that people have included as part of their posts. 75,990 pictures, to be exact. That's in addition to the 11,988 images members have uploaded to our Member Images section. That's a lot of pictures!! Thank you to every one of you - you truly make GoldwingDocs what it is today, a vibrant community of friendly, helpful people. I look forward to what the next ten years brings! Yes, congrats!!! And Thank You! This is a great place to hang out and share information. Superior accomplishment Scott. Your efforts do not go unnoticed. Your How-To articles are not only the best I have seen but they entice others to try their hand at maintaining their machines and the machines of others. A good many of those that had never worked on motorcycles in past have found that it is not as difficult as they had imagined. 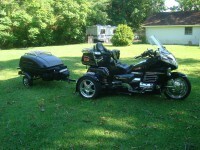 They have found a new sense of pride in motorcycle ownership. Glad to be your friend Scott, and keep up the good work. I didn't realize that I was #4 on posts. I don't post much on any of the other sites anymore. Used to frequent Saunders much more often than I do now. Some of the guys from Saunders are contributing here more often also. Home is where the heart is I guess. 10 years is a good run and congrats on achieving this milestone. Appreciate everything you do, as well as the other contributors. 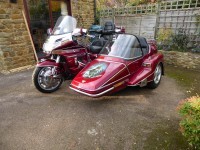 A wealth of information on this and other forums make owning an older GW very satisfying. Look forward to the next 10 years. I know - that would be a lot of work, but I think it would be worth it! This site has been the absolute best and has helped me out multiple times. I recommend it to others all the time. 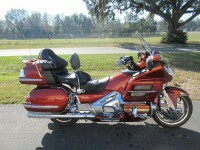 Thank you and keep up the best forum out there for Goldwing owners! is required to keep it going! THANKS! I used to frequent Steve Saunders site - but after finding this forum I have found this site to be more to my liking. It just "feels" better. 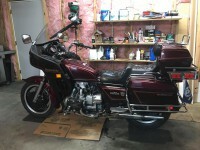 Thanks for all your efforts and the passion you put in behind the scenes to keep this site, I believe to be THE "Premier" Goldwing forum for advice and friendly banter. 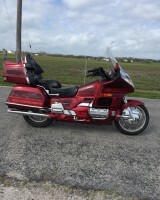 Happy Birthday to Goldwingdocs and thanks to everyone that contributes to the site. 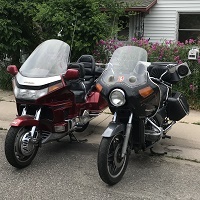 When I bought our latest bike, I browsed the internet for information and this site seemed to me to have the best format and information available. Great site Scott and very grateful you had the initiative to get it started and keep it going. Yes..!! Congratulations. Once I found this site there was nowhere else worth going for info on things in "our world" of interest. Best site I've ever come across of it's kind. I really mean that. Here's to the NEXT 10 YEARS..!! Sincere congratulations and thanks go out to you!! This site is absolutely awesome! The "how to" stuff has already been indispensable for me, I changed my timing belts exclusively using your write-up and pics. I second the thought that most of us probably have no clue how much dedication and work this takes. Thanks again, and here's to another successful decade!! I agree with everything that has been said. Great sight good information great members.THANK YOU. Much is being said about the site, and I agree with all of them. Congratulations and keep the ball rolling. A Hearty Congrats on the milestone, Scott, from one IT guy to another! 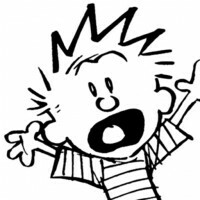 As a former SysOp of a BBS in the mid-late '80s (remember MS-DOS, 2400 baud modems and "RemoteAccess" BBS software?) I can appreciate the effort involved in moderation, and keeping everything running smooth. Although I've noted several improvements to the site recently, I haven't heard any news lately of your planned launch of your customized rewrite of phpBB, do you have any update there? As a member of both 'Docs and Saunder's site, I'm noticing that 'Docs appears to be edging out Saunder's site lately on new posts (if you exclude the "Games" posts which I ignore), I think you have taken the lead on popularity! Sometimes double the new posts on a daily basis. A major accomplishment! Kudos, and keep up the excellent work! 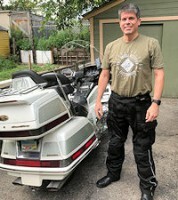 Happy birthday GoldwingDocs and thank you Scott for a great site. I often send new wingers to this site or anyone who ask. I belonged to Saunders site for a long time and really enjoyed it until the take over. I also belong to the other 1800 site and it's ok but this site I feel so at home and invited and the members are so much more friendlier. Thank you again and here's to many more. I too was a BBS Sysop, from the very, very early days. I think I put my first one up in 1981 or so, I think? I wrote it myself, it was pretty limited, it ran on a 300 baud modem. I ran one continuously until around 1994. The rewrite is happening...slowly. Time constraints are the major problem, I have a lot of demands on time and not a lot of time to fulfill them! Hopefully as the weather winds into winter that will improve. Congratulations and thank you for a lot of hard work! Congratulations. 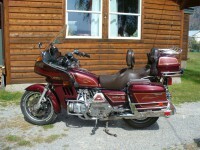 Life as a Goldwing owner would be one hell of a lot harder without this website.